The weather in Portland and Gresham County doesn’t get too extreme in the winter, but for the couple days when it does snow, the roads can be treacherous for inexperienced drivers. For teenagers or young adults who haven’t been driving for very long, or who are completely new to driving, wet or icy roads are not only hard to drive on, but can also increase the risk of an accident. At Pacific Driver Education, our drivers ed classes are geared toward helping teenagers and adults learn how to drive, learn the rules of the road, and teaching them to feel confident behind the wheel. Our DMV-certified instructors strive to teach sessions that will give students real-world experience and knowledge so that when the weather does get messy and dangerous, they can still drive safely. Ideally, if the weather is bad enough, you will stay where you are. 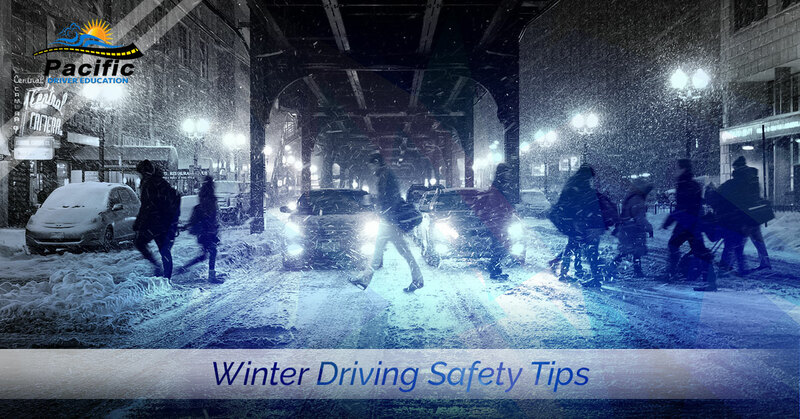 However, if you must drive and are still new to driving, or have never driven in inclement weather, here are some tips to ensure that you and other drivers on the road are safe. Whether the roads are just wet, snowy, or icy, driving slowly is one of the most important things you can do to be as safe as possible. When you’re accelerating at a stop sign or light, start slowly so that the car is less likely to slip and slide. And even though the speed limit said 55 mph, when the roads are snowy, you should only drive at a speed that is comfortable and safe. If you’re driving on the highway, don’t use cruise control and if you do start sliding, slow down. Even with the best tires and brakes, it takes longer to come to a complete stop when the roads are wet, snowy, or icy. When coming to a red light or a stop sign, start to break earlier than usual and gently pump the brakes so you can get a feel for the conditions. Most vehicles have anti-lock brakes, so if there is an emergency, push hard on the brakes and the car will do what it can to slow down. Just because you’re driving a large SUV or crossover, doesn’t mean that it’s significantly better in certain conditions. 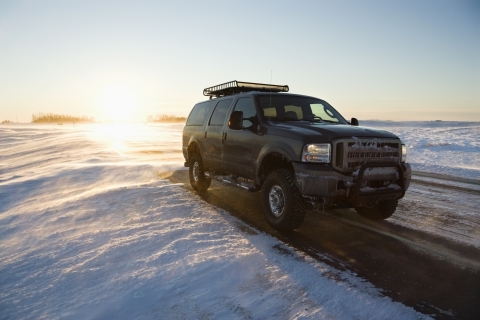 Yes, they may give you more control when turning and when you’re accelerating, but an all-wheel-drive system can be just as dangerous when you hit a patch of black ice. If you rely on all-wheel drive and are still driving as you would in normal conditions, it could lead to a dangerous accident. Whether you’re on a small back road or on the highway, allow additional space between your vehicle and the one in front of you — around three car lengths. If you do need to quickly slow down or slam on your brakes, that extra space will give you more time to stop. If you don’t feel comfortable driving in snowy weather, get in touch with the drivers ed instructors at Pacific Driver Education. Over the course of our classroom and behind the wheel sessions, you will gain experience and knowledge that will help you be a better driver.